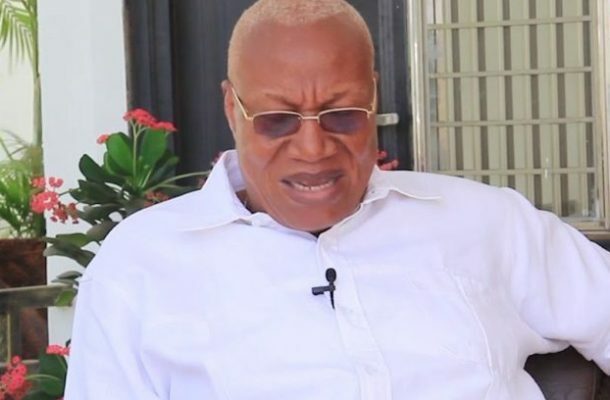 It has emerged that executives of the opposition National Democratic Congress (NDC) at Bekwai in the Ashanti Region have returned the GHC1,000 cash gifted them by a flagbearer aspirant, Professor Joshua Alabi. Prof Joshua Alabi is touring the country to seek the mandate of delegates to vote for him to become the party's flagbearer as it goes for primaries on February 27, 2019. Prof. Alabi is reported to have traveled to the Bekwai Municipality to put before delegates his message to convince them to vote for him on the said date. According to Mr. Gabriel Asiedu, one of the NDC executives, after the candidate had met with them, he donated a cash gift of GHC1,000 to be shared to the about 300 party members who were present at the event. He said, earlier, Prof Alabi had promised GHC3,000 but ended up giving GHC1,000 which each member would have gotten GHC3 when shared. Explaining briefly on 'Dwabrem' on Otec FM in Kumasi, Mr. Asiedu said, the GHC3 for each of the member was not enough so the executives met and agreed upon giving it back to the team of the aspirant. According to him, the party members who were present expressed interest in the message of the Professor and not in his money and that was why they agreed to return the gift.